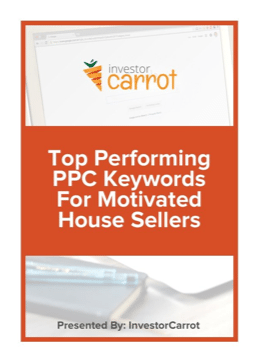 When it comes to real estate investor PPC for Motivated Sellers campaigns, there tends to be a lot of emphasis on the quality and content of landing pages in order to increase conversions. Your landing page is crazy important, but to get motivated sellers to visit your landing page, you must first persuade them to click on your ad. The best landing page won’t do you a bit of good if a seller doesn’t get to see it. 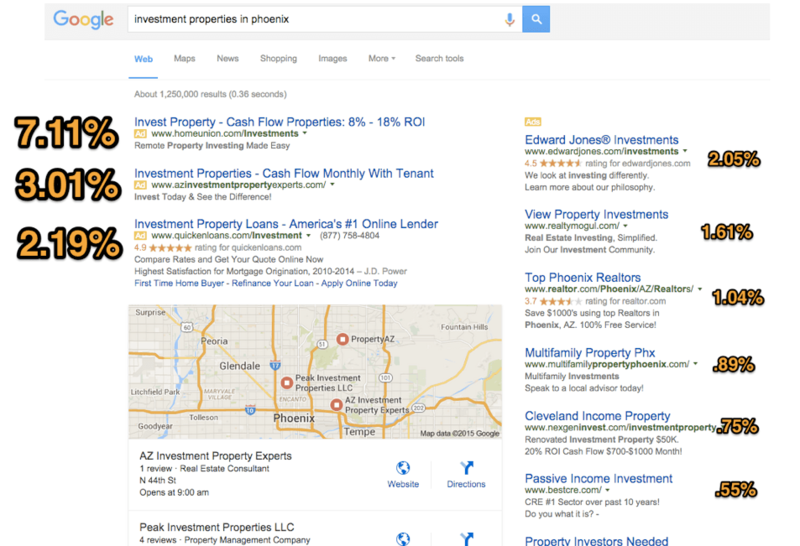 So how do you make your Google PPC ads stand out from the rest of the clutter on a Google search result page? That little ad has two to three seconds to grab the house sellers attention after their Google search. You get a small headline and a very short amount of copy to convince the seller your site is worth visiting… and that you can solve their problem. 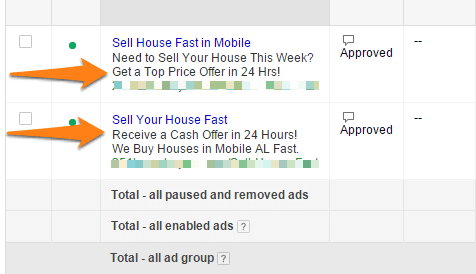 Getting your ad in those top three ad positions also increases your chance for clicks. 41% of PPC clicks come from one of the three ads and 12%+ of the overall clicks on the page (including organic results) go to those top 3 PPC ads as well. The better your ads perform the more clicks you’ll get. As quickly as possible you need to first grab their eye, second show them that you can likely help them, and third relay a sense of credibility through the ad to make them feel great about clicking the ad to learn more. Since you only have a few lines and a few seconds to relay all of that… your ad headline and copy need to trigger an instant response. Give motivated sellers a reason to click. 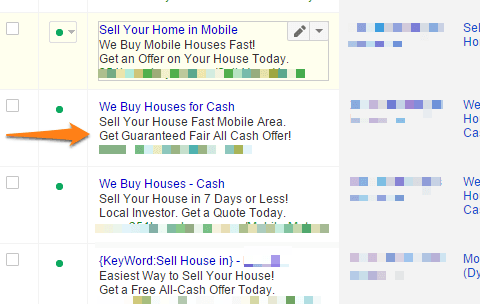 Here are some very effective and ethical triggers I use when creating PPC Ads for Real Estate Investors. These triggers have helped to yield an average 5% click-through-rate along with an 18.2% visitor to lead conversion-rate across Carrot PPC accounts that I personally manage. 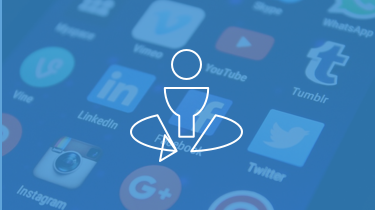 Use this article along with our “20 Steps to Optimize Your Google PPC Campaigns” and “How to Tell If My Real Estate PPC Campaign Is Working – Setting Up Conversion Tracking” posts to really hone in your campaigns. Sometimes, in the real estate market, this is a little harder to do. People like to laugh. If your ad headline makes them chuckle they associate your ad with positive emotion. This creates a more receptive message. Depending on how your campaign’s demographics are set, if often pays off to use regional triggers in your ads such as city or state names. 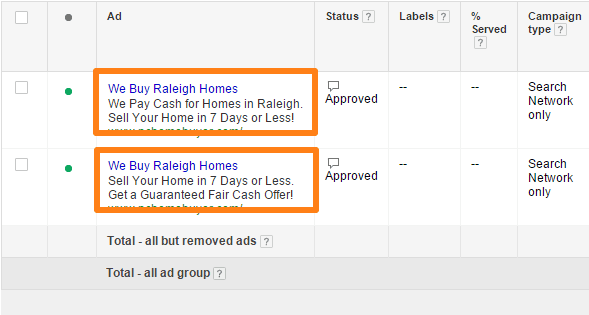 Sellers will automatically relate to the area and build more of a trust seeing a local ad. Couple that with a local looking domain name or URL and that’s even better! There are a number of keywords that are known as power words. These words are proven to attract attention and sales. They include words like free, fast, super, fair, now, must, save, expert, local, limited and so on. Create a sense of urgency. Again, get creative and test things out. Guarantees mentioned in an ad, such as guaranteed cash offer or guaranteed offer in 24 hours. A quick disclaimer here… but of course never guarantee anything you can’t 100% confidently fulfill. Don’t guarantee the “highest offer” in the market unless you’re ready to do that. Don’t guarantee to “close in 7 days” if you can’t do it. Similar to ads asking a question, ads that specifically address the audience are much more likely to gain attention. Such as the title Facing Foreclosure? Avoid costly broker fees. Sell In 7 Days Or Less. Trade that house for cash today. Now… with that said, if you’re going to really personalize your ads you need to make sure you’re also putting these ads in front of very targeted searches. You won’t want to serve up a “tired landlord” ad to someone searching “sell my house fast” or “we buy houses”. 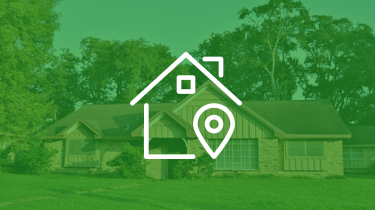 But you may want to test it out to someone searching “tax consequences of selling rental property” or “selling a rental property“… and targeting it to the locations you would buy. Searchers are good at recognizing advertising and blocking it out. So your ads can become more effective if they have a storyline and appear less like an ad. Also, make sure your ads sell the benefit the homeowner will get by working with you. Too many people just mention the service… “we buy houses”… “local home buyer”, etc. But the benefit they’ll experience is what they’re after. Cash in their hands quickly. He avoided agent fees and stress. See how you can to today! buy houses nationwide, No Cost! Look at the benefits mentioned in those ads that the seller can get working with us. Focus on the benefits the seller will get and you’ll be golden. As well as personalization, your ads can appeal to the five senses of the seller: sight, sound, smell, taste and touch. Here’s an example where they can feel the money in their hands. It is proven that ads achieve the highest click-through rates if they use a call to action within them. For example, “sell now”, “offer in 24 hours” or “close in 7 days”… layout the benefit they’ll get and how they’ll get that benefit with the call to action. The ad headline is likely the utmost important element of your entire ad. It needs to grasp the reader’s attention so they will read the rest of the ad. In order to create higher converting headlines, include your keyword in your headline. Keywords have been proven to achieve a higher click-through rate. If a motivated seller sees the keyword they have searched for, your ad is more likely to seem relevant to them and encourage them to read on and click. Once the reader has been drawn in with a solid headline, the rest of the ad needs to persuade them to then click on the link that takes them to your landing page. Ad text needs to be as relevant as possible. Try to use your target keywords in your ad text as well as your headline. While your ad headline and text need to do the core job of convincing the seller to click, your display URL should support your message by logically representing your site. For example, if your ad link takes sellers to a page residing on www.webuy.com/get-a-cash-offer, the display URL should read webuy.com/get-cash-offer. 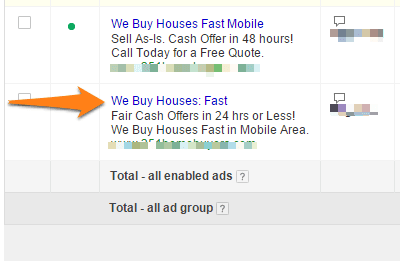 As we’ve mentioned in other PPC marketing posts on our blog, test using the ad extensions. We’ve found they can in some cases boost your click-through rate a lot… just make sure you have conversion tracking in place so you know whether those extra clicks are turning into solid leads. Getting motivated seller leads that converts through PPC or SEO is absolutely critical to your survival and growth as an investor. In the end, conversions are about relevancy – does what you offer match what they’re interested in and do you clearly and quickly show them how you can solve their specific problem? 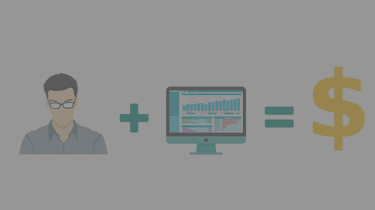 Sometimes it takes various A/B tests to figure out what works for your market. Once you find it, keep doing it. 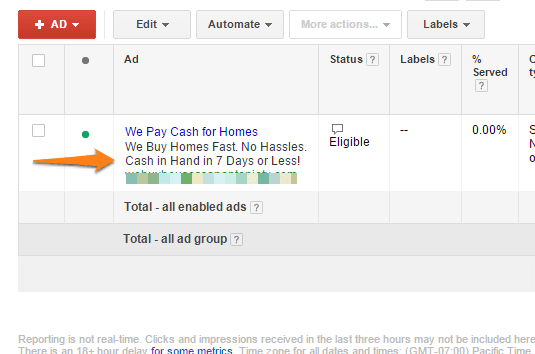 Try these PPC marketing ad ideas out and let us know the results! One thing you’ll find is that testing new ad copy on a continual basis is one of the best ways to always improve your PPC marketing results. Get to work… and let us know what you’re seeing work well for you with your own PPC ads below in the comments section! Great article Brendan. Looking forward to reading more by you. Thanks! Ya Cole! Brendan rocks! He’s a new part of our team and we’re lucky to have him! I’ve been getting more organic leads to http://www.TexasTopDollar.com after reading this.